A Saturday afternoon at the end of the month of Ramadan, Givat Aliyah Beach, Jaffa. The beach is packed with bathers who are sprawled comfortably on the sand and gazing at the sea. Behind them are the homes of the Jabalya neighborhood, some of them new or renovated, painted in soothing pastels, others adorned with peeling arches. The landscape is lovely, evoking a Greek island. The reality of life among Jaffa’s Jews is unreasonably bucolic in light of the violence being endured by the city’s Arab population. Six members of Jaffa’s Arab community have been murdered in the past two months, among them four women; another woman was seriously wounded. On April 19, Mussa Mahamid, 22, was shot and died of his wounds in hospital. Another 22-year-old, Rami Fatairji, was shot on May 13 and made his own way to Wolfson Medical Center in Holon, where he died. Neither case has been solved. Four days later, Fadi Maluk, 24, stabbed his two sisters, Hayat and Nura, to death. On May 28, a 33-year-old woman, Samar Khatib, was shot to death in a drive-by attack; the woman sitting in her car’s passenger seat was seriously wounded. That murder, too, is still unsolved. The previous day, Khatib had called the police after discovering that a bomb had been placed in her car. People in Jaffa say that the police refused to offer her any protection. On June 7, Padilla Cadis, a 52-year-old widow, was murdered by her daughter and her daughter’s partner. The next day’s newscasts reported the shocking murder of the woman, whom police believe was killed because she objected to her daughter’s romantic choice, in her home – before moving on to coverage of the huge Gay Pride Parade that was taking place then in Tel Aviv. One could easily have taken away the impression of two communities living side by side, one ostensibly liberal to an extreme; the other ostensibly suffering from the ailments of a conservative, oppressive society. Later another meaningful parallel could be perceived in the way the media reported the blood-drenched demonstrations in the Gaza Strip and the violence in Jaffa. Based on the coverage, one could be forgiven for concluding that the Palestinians in Jaffa aren’t so different from the Palestinians in the Gaza Strip. Internecine hostility and violence characterize both groups. 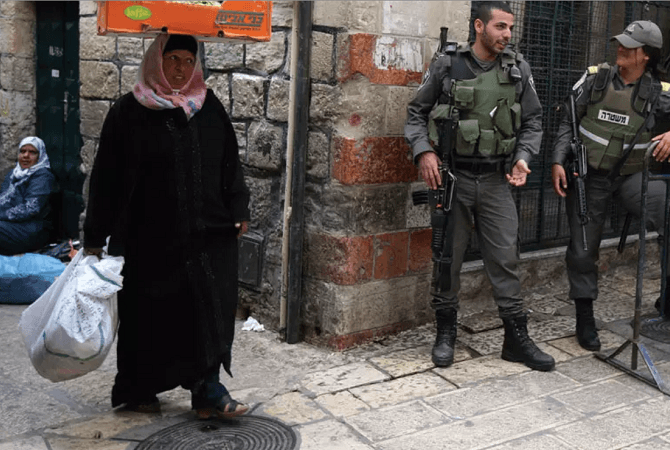 According to Jaffa’s Palestinian residents, these perceptions, which crop up regularly in local news coverage, inform every interaction they have with the Jewish establishment and society. Neglect is rampant in every possible area, the residents charge – in education, welfare, employment, housing. The reasons underlying that situation, they believe, are racism and the desire to force native-born residents out of Jaffa, which has become a real estate bonanza in the past few decades. However, the harshest complaints are aimed at the Israel Police: Jaffa’s Arabs maintain that the police have never truly tried to protect their community from the criminal elements among it. The proof of this, they say, is the meager number of murder cases that have been solved and the few indictments filed in similar cases over the past few years. 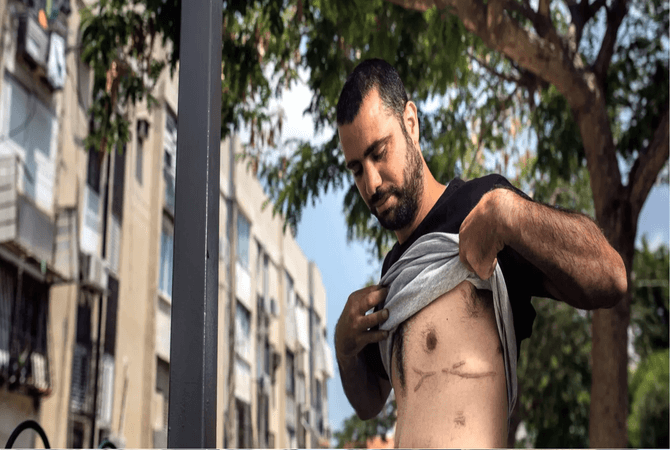 In fact, since the death last July of 20-year-old Mahdi Sa’adi – who, depending on whom you ask, was either murdered by the police in cold blood, or killed by them during a chase – Jaffa’s Arab community has effectively severed all contact with the police. Even the traditional Iftar meal celebrated every year during Ramadan with the participation of the municipality and the police was canceled this year. 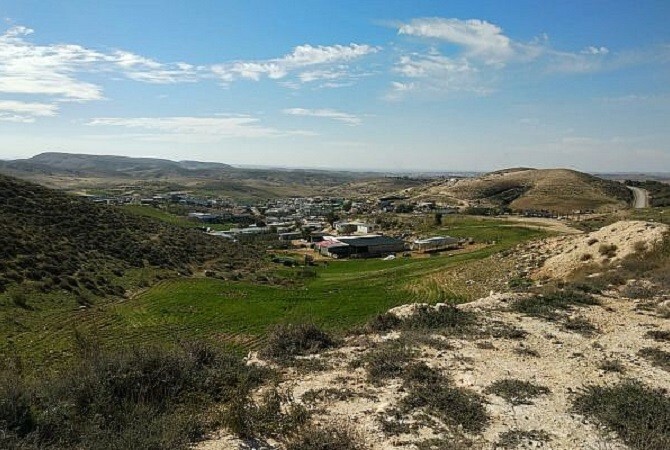 Commander David Filo, head of the Israel Police’s Yiftah District, which includes Jaffa, maintains that there has actually been a decrease in the number of murders there of late, compared with last year. Filo differentiates between types criminal incidents, such as street shootings, and domestic incidents, such as the murder of the Maluk sisters or of Padilla Cadis. Why didn’t the police agree to protect Samar Khatib after a bomb was found in her car? Why has no progress been made in the investigation of Mahdi Sa’adi’s death? The community also complains that the police don’t collect illegal weapons. The residents claim that police stop young people in the street and harass them with unjustified ID checks and body searches. “My mother did not convert to Islam. So we remained Christians. My parents were junkies, so from the time I was 6 we lived, my brother and I, with my Muslim grandmother, and she looked after us. We lived in her home, on Assaf Harofeh Street in Jaffa. When I was 14, my parents kicked the drug habit. They each remarried, and we have good relations with both of them. “It’s not easy to grow up in Jaffa. The economic situation is very tough. Today, actually, there is no future here for children. It’s like Chicago here. A lot of my friends have been murdered. “These days you have to be afraid of a 14-year-old kid; he could shoot you. I try not to get mixed up with anyone, because the whole of Jaffa knows me as an educator, as a coach, as a friend: I am a soccer coach with the Bnei Yaffo [Jaffa] team. Some of the children I coach have to work to help their families. They come to practice very tired, and fall asleep. For easy money, people are lured into selling drugs, into beatings and killings. But the women that were murdered by family members – that’s something new, people say that didn’t happen in Jaffa before. “I went to Ahva primary school and then to a comprehensive high school. I have a full matriculation certificate. Until seven years ago, I was a physical-education teacher. I left because the salary wasn’t good. I preferred to deliver newspapers at night. I made more money. “I am married, my wife is Jewish. We have three young children: twins of 4 and a boy of 3. I have two jobs now – in the morning I do deliveries, in the afternoon I coach soccer. Many people lived in my grandmother’s house; all the grandchildren lived with her before her death, in 2002. Afterward, my brother married and moved away, and my uncle – my father’s brother – moved into the house. We lived there together for a few years. The house belongs to Halamish [public housing company]. It is 250 square meters, with a garden, first row next to the sea. My grandmother lived there with key money. “In 2010, we obtained a confirmation of our title to the house. He [the uncle] received continuing tenant status, because he is my grandmother’s son. I wasn’t given continuing tenant status at first, but I proved to them that I lived in the house throughout my childhood, and in 2014 I was also recognized as a continuing tenant. But then my uncle said he didn’t want me living in the house. I think my aunt, the uncle’s sister, incited him against me because my wife is Jewish. “One evening I was at work, delivering pizzas. I was waiting there at a traffic light on Jerusalem Boulevard. Then her young son [his cousin] comes and starts threatening me. We fought. I went home, and my wife said, ‘Don’t go to work,’ but I changed clothes and went back to work. I went to the pizzeria, and a few minutes later a motorcycle passed by and shot at me. I wasn’t hit, I got out of the way. After a few minutes, the motorcycle came back and two more shots were fired. I was hit next to the heart and in the spine. Another guy who works in the pizzeria, not even from Jaffa, was also hit. I was in the hospital for a few weeks. “Four months ago, the police closed the shooting case, even though I told them the whole story. I don’t even know if they investigated. They called in my father and my brother to talk to them, and told them that they don’t want revenge attacks in Jaffa, and that if anything should happen to my aunt or to her children, they would take them [my father and brother] in immediately, whether they were guilty or not. That was two years ago. Now I’m alright, I’m working, in fewer jobs, and I’m back coaching soccer. I received rental assistance and I’m renting in Jaffa D [neighborhood] and continuing to pursue my claim to the house. “The subject of feminism and activism has been with me for a long time. It’s in my DNA, part of my identity. In Nazareth, I was a volunteer for 12 years at a hotline for battered women. From my perspective, the struggle to end the occupation and the conflict goes together with the struggle for women’s liberation. You can’t demand the end of the occupation and go on oppressing groups in your society. About the recent murders, people in Jaffa say that it’s not from Jaffa – they are people who came from outside, they aren’t ours. Among us it’s not customary to murder women. But when there are weapons in the streets, no one is safe. The men are liquidated to settle accounts, and women are murdered in order to limit their freedom. “Two major processes have occurred in Jaffa. In the historical context, the Nakba affected the Arabs in the center [of the country] differently than it did the Arabs in the north. It’s not by chance that there is more violence and crime here. A larger Palestinian population remained in the north after the  war. I grew up in Nazareth, a city of about 100,000 Arabs. I had no need for Hebrew, for a different culture, in order to get along. I could blossom and thrive culturally without being in contact with Jews. There are 12 Arab schools in Nazareth, it has a well-developed culture. “In Jaffa, however, only 3,000 to 5,000 Palestinians remained after 1948. They lost their homes and were concentrated into Ajami [neighborhood], and for a few years lived under military rule. Many Jewish immigrants arrived in the city. To survive, the Palestinians had to speak Hebrew and be in contact with Jewish society. To leave the Ajami ghetto, you needed a permit from the military governor. The community there could not work, there was nothing for the men to do, so a drug culture started to develop. Their [sense of] masculinity dissolved. The concept of a male provider disappeared. “Before 1948, Jaffa was a large, prosperous, cosmopolitan city. And suddenly it became a little village, and the mentality changed. Today it’s like a village that won’t take in people from the outside, that’s suspicious of strangers. I came here in order to insist that there is a connection between us, even though I am not from Jaffa. I want to revive this place, to become part of it, and that is part of my bond with the Palestinian people everywhere. “The second major process is the change in the approach of the Tel Aviv-Jaffa Municipality. When they realized that Jaffa is a strategic real estate location – because it’s beautiful, it’s close to Tel Aviv and there’s good food there – they started to remove the junkies’ syringes from the streets, turned the dump into a lovely park and brought in new populations to help revive the city. But these people bring nothing to Jaffa, don’t take part in the life here. They drive in and go to their parking space, and that’s it. The weak population here isn’t benefitting from that prosperity – on the contrary. Because Tel Aviv is a very rich city, all kinds of projects that are earmarked for weaker places won’t make it to Jaffa. Like ‘City Without Violence,’ a program that’s being implemented in Arab villages. On the other hand, the municipality doesn’t invest the same resources here as it does in Tel Aviv. How do the girls you meet in the youth movement feel about living in Jaffa? “When I ask them what their dream is, they talk about something very practical, very simple. Not great dreams. And even that disappears at some stage. Girls in the eighth grade, for example, dream that they will be able to ride a bike without having someone say something to them. Everything is reduced to something narrow and small – to pleasing society. There’s a phenomenon in Jaffa of girls who marry very young, at 17, and after a few years, at 22, they get divorced. The divorce rate in Jaffa is the highest in the Arab community [nationally]. “My parents were born in Ajami. My grandparents are buried in Jaffa. The family arrived many generations ago from the Saudi deserts. We were five brothers and two sisters. I am the youngest. My oldest brother, Selim, who was nicknamed Solomon, was 15 years older than me. He was murdered 22 years ago, because he fought against the drug dealers. When he was 16, he decided he wasn’t willing to see drugs in Jaffa, and he devoted his life to that. The old people of Jaffa went to him instead of going to the police. To this day, his murder hasn’t been solved. But that doesn’t change anything: Justice from my point of view is divine justice. “When I was 11, our house was burned down, in an attempt to kill my brother. I was almost burned to death. That was exactly one month after I’d switched to Alliance High School in Ramat Aviv [an upscale Tel Aviv neighborhood]. I’d been in rehabilitation for a long time, which is how I became acquainted with physiotherapy. When I was injured, the whole school came to visit me, and relations of true friendship started. That influenced my belief in coexistence. That’s how I educate my children: not to forget our identity, but also definitely to love the Other without an iota of racism. “My wife, Rim, teaches mathematics. We have three children, and my first grandchild was born a few months ago. We live in an area of Jaffa that’s called the ‘university compound,’ next to the flea market. Tel Aviv University is my second home; I’m also the chairman of its steering committee for integration of Arabs. Three years ago, I became active in helping to deal with the problems of education in Jaffa, in light of the harsh data [relating to scholastic achievements]. I’ve been at the university for 28 years, and until three years ago the number of Arab students from Jaffa was negligible, even though there are 3,000 Arab students there overall. Hundreds of students graduate from high school every year here, but very few go on to university. “About 20,000 Arabs live in Jaffa now, two-thirds of them are Muslims, a third are Christians. Until a year ago there were two state-run high schools for Arabs and three private high schools: Arab, French and English. The bulk of the problem lay in the state schools. Over the years, the children who grew up in Jaffa lost proficiency in their mother tongue. They were unable to express themselves in or write literary Arabic, at the level needed for the psychometric exams [for applying to university]. Without fluency in the mother tongue, we became a society that wasn’t fluent in any language. And all the studies prove that those who take the psychometric exams in a language that isn’t their mother tongue, lose an average of 100 points. 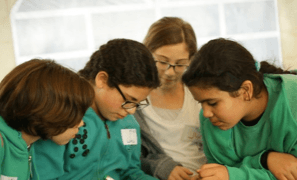 “The average psychometric score in the three Arabic-speaking schools in Jaffa, which is the vast majority of the students, was 438 [out of 800]. You can’t get into university with that. In the Arabic schools there are no five-point matriculation exams [the highest level]; they are only in Hebrew. The writing level is very low. There’s a high illiteracy rate among the children who enter high school. The level is also very low in mathematics. I came and said that there is a failure in the education system in Jaffa. That stirred a great deal of antagonism. Together with the municipality’s education department and the Ministry of Education we are making great efforts to improve the situation. “This year a new school opened, called Al Mustaqbal, ‘the future,’ consisting of a middle school and a high school, in a new building that is supposed to be serve the population of Ironi School 12 … where the success rate on the matriculation exams was 16 percent, and even that was achieved with rampant cheating. We said the new school had to be an independent entity. After a struggle, the objections of Ironi 12’s administration, demonstrations and vilifications, the municipality made a courageous decision and the new school opened. The old school also underwent a dramatic renovation and is starting to show improvement. In addition, an Arab education inspector was appointed for the Arab schools, to create continuity with the primary schools. Teachers are being trained to be able to offer five-point level instruction in mathematics and Arabic, we’ve reduced crowding, there’s more supervision. “The violence is the result of neglect from all directions: the failed education system, the very severe housing problem and the socioeconomic difficulties. Those conditions drive the population to despair. I see adolescents who know that a future in which they will be able to afford to marry and raise a family in Jaffa is closed to them. The despair is expressed in violence among the young people. The ongoing violence has taken root in daily life, both at home from a very early age, and also at school, between the students, and between teachers and students – verbal and physical violence. “I went to Tabeetha, a private primary school [operated by the Scottish Church], and to Ironi 4 in [Jewish] north Tel Aviv. Being there was an electrifying experience, and also hard and unpleasant. The distance was a problem – an hour’s travel from Jaffa. It’s supposedly a left-wing high school, but I was called a ‘stinking Arab,’ and on Holocaust Day the teachers watched me to see how I behaved. I went there because there was no other choice. In Jaffa there was only Ironi 7, a [Jewish] school with a great deal of violence, and in that period the administration also ensured that there would be no more than 30 percent Arab students there. The racism there was worse than at Ironi 4. The dropout rate in the Arab schools was very high, and in the private schools you couldn’t do an Israeli matriculation, so the best option for me was north Tel Aviv. There were only three Arab girls in my year. Now it’s more common. “There was always violence in Jaffa. One of my first childhood memories is of seeing someone shoot someone else at 7 o’clock in the morning, in front of my face, as I was about to get into the car with my parents. But it has to be said that people who went to private schools, like me, were less exposed to Jaffa’s poverty and violence. The first time I really encountered poverty and the difficulties that breed violence was when I did a volunteer year with children, after high school. I saw things like children in higher grades who couldn’t read or write, or children whose parents never showed interest in them, or children walking around without shoes. “When I was 19, I received a scholarship from the Abraham Fund Initiatives and I went to Brandeis University and studied international relations and African-American studies. I then returned to Jaffa, worked in the Sadka-Reut organization, and then for a few years in the British Embassy as political adviser to the ambassador on Arab society. “Secret Jaffa is one of the largest Jaffa communities on Facebook. We’re an activist group that engages with community, political and social issues, and also a little with the question of where to get the most delicious ice cream. Right now, there are many discussions about violence in Jaffa, and in particular violence against women. “We always felt that this wasn’t something that happened to us, and suddenly four women are murdered in one month. Some people try to claim that it involves families not originally from Jaffa, ‘not ours.’ Families of Palestinians [from the territories] who collaborated with Israel were relocated to Jaffa. Their children are growing up in Jaffa, but the surrounding society doesn’t accept them. They are not Jaffans, they’re not familiar with our culture. They are also considered traitors, because they collaborated with Israel against our people. The children aren’t to blame, but the families are subject to plenty of suspicion and anger, because they caused a great deal of harm. After the two sisters, Nura and Hayat Maluk, were murdered by their brother, we went to demonstrate and people attacked us and said they were women from a collaborationist family, not from Jaffa, and that it’s not our affair. “I also thought that Jaffa women were not murdered [by their families], but I knew that women do suffer from sexual, physical and verbal violence. The second murder was of Samar Khatib, also from a family of collaborators, but she grew up in Jaffa and went to school here and became a Jaffan. Her murder was more shocking to people. Despite her background, she was known and very much loved in the community. But again some people said: A family of collaborators. They tried to slander her, to say that she had connections to a crime family. “But this isn’t just something that’s suddenly happening now, in 2018. It follows years of neglect and abandonment of Jaffa, and years of gentrification, which has made everything more expensive and more difficult, and has also created tension domestically. People think there’s no violence among Christian families, and that’s not true, either. There are Christian homes in Jaffa where the men beat the women and everyone is silent. “The murder of Padilla Cadis truly shocked me. I was afraid, because of the ease with which people are murdered in Jaffa, over any little thing. I myself am on the frontline of social struggles. How will I know if someone whom I rub the wrong way will want to attack me, too? In the case of Fadia Kadis’ family, you can’t say that they are collaborators, or not from Jaffa, or that she was a dubious character. People will find it hard to get over this incident. “I personally have no trust in the police. I tremble when I see the police – and I don’t wear a hijab or look like a stereotypical Arab. If I were to experience domestic violence, heaven forbid, I don’t know where I would go – certainly not to the police. The Jews come to Jaffa because it’s a beautiful place, but they ignore the problems. They have power and they could change things, but instead they are creating a completely separate life for themselves – it’s artificial. “Until 10th grade, I went to the Tabeetha School, then to Amal [an Israeli vocational-school network], where I studied engineering. I’m an automotive engineer, I have a B.A. in government and society, and I am now doing a master’s at Tel Aviv University in political science and political philosophy. I’m active in Balad [a component party of the Arab Joint List in the Knesset] and involved in apolitical activity at the local level. Right now, I am a representative on the Islamic Council, an NGO. The council’s main mandate is to deal with the assets of the Muslim Waqf [charitable endowment], which were confiscated by the state in 1948 and then transferred to a board of trustees. I’m also a blogger on Haokets, Siha Mekomit and 972 [socially and politically critical websites] and a co-founder of the Jaffa Young People NGO. “Since 1990, more than 100 people have been murdered in Jaffa, most of them young men. In a community of 18,000, that’s an astronomical number. Last year, there were 11 murders in Jaffa. There were shootings before that, too, but a lot fewer. With the massive introduction of illegal weapons into the streets, the situation spun out of control. “The 1.6 million Palestinians living inside the Green Line [that is, citizens of Israel] are effectively leading a life without policing. The police come from Israeli society, and we know what Israeli society’s attitude toward Arabs is. 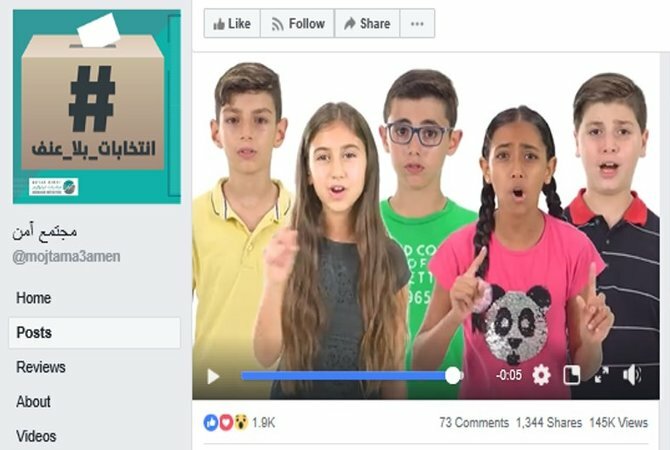 They’re taught from a young age to hate Arabs. It’s nuts to think that police officers can police a population they hold in contempt. Some of them served in the West Bank and [suffer from] post-traumatic stress disorder. The call of the muezzin returns them to their period of military service in Nablus and the West Bank. And I say this from a humane perspective. You have to understand who police officers are. They’re human beings all in all, not robots. “Arab police officers are a phenomenon in their own right. They are working for the very institution that is oppressing us. When the state decides to demolish houses, the police secure the operation. If you’re an Arab policeman, you see that there is injustice, because in a Jewish community they wouldn’t demolish, they would solve the housing crunch. The Arab policeman sees that the Arabs are resisting oppression and paying a price for that, whereas he accepts the oppression. To cover up for that, he starts to develop a powerful hatred for the Arab society. Arabs see a social hierarchy among cops: Best is an Ashkenazi police officer, then a Russian, a Mizrahi, an Ethiopian and finally an Arab. If you encounter an Arab cop, you’ve had it. He’ll vent all his inner frustration over his own situation on you. “I’ve been arrested three times. The first was in January 2016. My home was raided – to this day I don’t know why. I was arrested for disturbing an officer in the line of duty [while his home was being searched]. In 2017, I was arrested in the demonstrations after the death of Mahdi Sa’adi, for disturbing the public order and resisting arrest. Two weeks ago, I was arrested again, during a demonstration against the plans to build on the Muslim graveyard that was uncovered north of the clock tower [a well-known Jaffa landmark]. “Jaffa is expensive real estate and there is a Jewish majority here. When you’re mayor of Tel Aviv and want to present your city as liberal, then it’s in your interest for the Arabs to be content. But they’re not content. In no Arab village are there demonstrations and protests like in Jaffa. Relative to our population size, the number of clashes with the police that have a political background is astronomical. It’s been getting worse over the past two years and is destroying Tel Aviv’s liberal, open image. And then the question arises: If Arabs and Jews can’t live side by side in Jaffa, what does that say about the rest of the country? We speak the language and we know the Jewish population. And if it’s impossible to forge a normal community life here, that says a lot about Jewish-Arab relations. “The clash is with the Jewish institutions, not with the population. We don’t see the Jewish population. It’s as if they’re nonexistent. We ignore them. Because the Arabs are a small population, a very developed community life has developed, with a local Jaffa-Arab culture and local customs. Weddings, for example. The Arab population here has adopted wedding customs you won’t find elsewhere [in the country]. Before the wedding, when the groom leaves the house, there’s an event to mark that. And then we go with the groom to the bride’s house, and there’s another reception, the bride’s emergence from the house. That Arabizes the public space. “With regard to the murder of the young Arabs, there is no pressure from the general public. There is more public interest in the case of the murder of women. Arab women have not undergone the dehumanization of Arab men. They are always seen as the victim. The young men are dehumanized, and when they’re murdered it doesn’t interest the general public. There’s a consensus within Arab society – when someone with a criminal past is murdered, people say, ‘the poor mother.’ But when an Arab woman is murdered, people [Arabs] start to look to see if it was ‘justified’ or not. They’ll say, she went out a lot, or too bad she was murdered but she was a pretty wild type. Sa’adi was born in Jaffa’s Dajani Hospital and grew up near two of Jaffa’s main thoroughfares, Yefet Street (as it is now called), and later Jerusalem Boulevard. When he got married, he moved with his family to a mixed neighborhood of Muslims, Christians and Jews – where all the streets are named for rabbis. His second son, Mahdi, was shot to death by a policeman in July 2017. He was 20. After his son’s death, Jamal says, he refused to allow his photograph to be hung in the house, because it’s unbearable for him to look at Mahdi’s face. “Mahdi was a kid who loved to help people. He went to Ironi 12 High School, and left during 10th grade. He then started to work painting furniture, because he decided it was preferable to have a job and make a living. He didn’t have many friends, he didn’t mingle with all of Jaffa. I didn’t let him. I told him it was better without a lot of friends, that’s what I was used to. I was always afraid of this ‘friends’ thing. I’m 45 and I don’t have any police record at all. “When Mahdi was 16, the police opened a file on him. He was sitting outside the house and playing with the phone. A police Yasam [Special Patrol Unit] passed by and picked him up, claiming his phone was stolen. And as you can see, we don’t lack for anything. Who needs to steal a phone? So they opened a file, even though we brought receipts proving that we had bought the phone. The police here provoke the kids. “The evening before, Mahdi took my wife and the children to the Jaffa boardwalk and made a barbecue for them. He wanted to pamper them. They got back at 1 or 2 A.M. In the summer, people in Jaffa are outside until 5 A.M. Mahdi went out with his moped and did a spin on Yefet Street. Forty-five minutes earlier, there had been a shooting incident in a butcher shop there, owned by people who are good friends of ours. So there were policemen next to the butcher shop. When he passed by, they didn’t detain him. “At Haj Kahil Square, Mahdi slipped on the moped, and all the policemen ran at him with tasers. They tasered him and he started to run. They didn’t catch him, but the moped was still there. Mahdi went to a friend, stayed with him for about 50 minutes, and then they decided to go back and get the moped, because it was registered in the name of Mahdi’s younger brother, and he was afraid that they would go to the house and beat up his brother. After Mahdi was shot, the police claimed he was known to them, and that he was a suspect in the shooting at the butcher shop, without explaining why. The Justice Ministry department that investigates police officers launched an inquiry. But after nearly a year, their findings have not been released, and no cop has been put on trial. That infuriates Jamal – a sentiment shared by many in Jaffa. After the event, residents staged demonstrations, some of which ended violently. 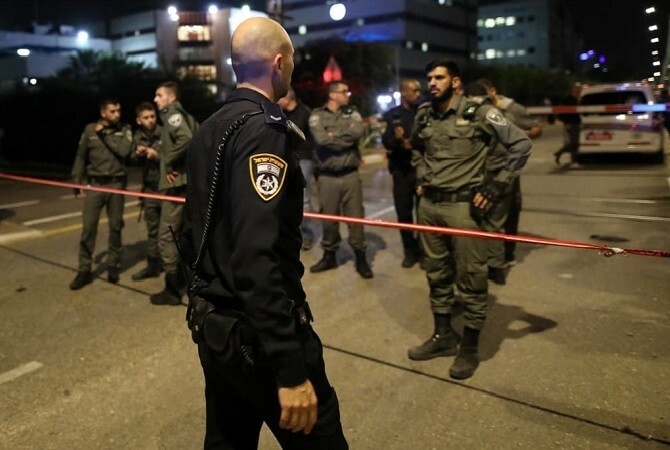 Many of the interviewees referred to the killing of Mahdi Sa’adi as the watershed event, following which the already sour relations between the police and Jaffa’s Palestinian population deteriorated into total disconnect and absolute distrust. “I can’t bear to see policemen anymore, I burst out crying. The Yasam pass by and laugh in my face, as though they’re heroes and who are we, anyway. No one has said a word to me. They won’t tell which policeman shot him, because they’re afraid we’ll take revenge. But I’m not interested in revenge: All I want is for the policeman to be jailed, because if this case is closed, it will give them a green light for murder. “During the day after the murder, they didn’t want to give us the body. We waited all day, until midnight. We buried him at 1 A.M. That evening, all of Jaffa was in turmoil over the kid’s murder. The authorities claimed that people in Jaffa are violent and burn tires. Because we wanted the body, we became criminals. They told us, go to Gaza and burn tires there. “I have another son, and three days after the murder the police beat him up. He and my daughter were wandering around on Yefet, and she was wearing a T-shirt with Mahdi’s picture on it. The policemen said something to her and an argument started. She told the policeman that he wasn’t a man, and he said, ‘I’ll lower my pants and show you I’m a man.’ Her brother didn’t like that, he argued with them and the policemen beat him. His face was totally battered. They have no pity. Let him scream. His brother was murdered. “If there was a drop of truth in their claim that Mahdi’s shooting was justified, they would have made it public by now. But for almost a year they’ve been passing the story back and forth between the Justice Ministry investigation unit and the state prosecution. You’ll see that in another few days they’ll tell the whole story about the murder of Padilla Cadis. Everything will be released to the media, because they have something to say. But in Mahdi’s case they have nothing to say. It was cold-blooded murder. The people who shot my son in the back are murderers. When there’s a murderer who’s one of theirs, and they still defend him and don’t investigate and don’t put him in detention, then they are accomplices to a crime.